I was introduced to Skin Owl by another great beauty brand, Vapour and to say that I am smitten, well, that would be an understatement. One thing that I love about social media is that I have the opportunity to get to know brands, like really get to know them. I am all about supporting the people who are the makers, the ones who are doing great things. 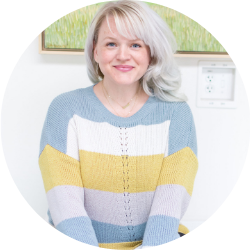 Annie from Skin Owl is one of those people. Her team is right there with her as well. 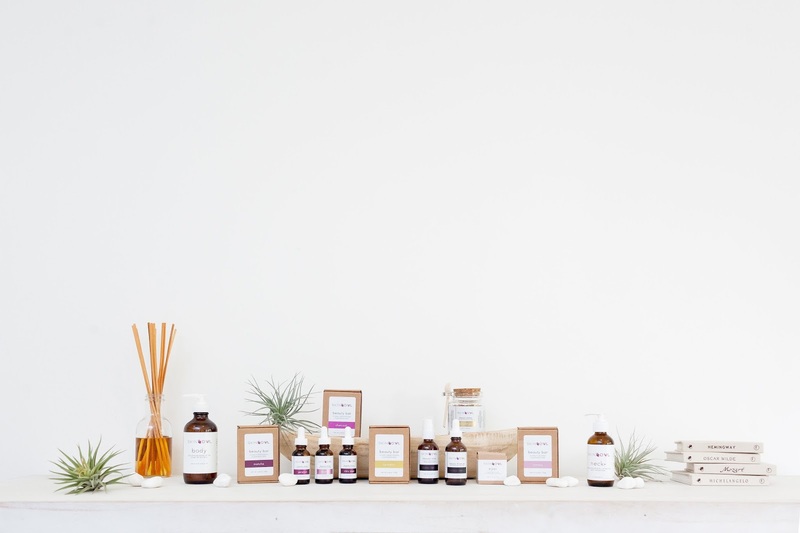 Sure, Skin Owl is offering some stellar clean beauty products but they are also a business with a HUGE heart doing some pretty amazing things. Good people are my favorite. 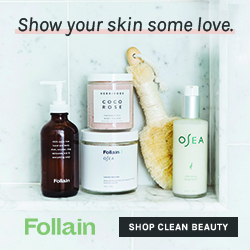 At first, I was like Oh hey, Skin Owl, cool, this is another green beauty brand that I should check out. 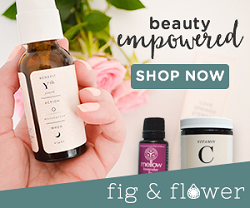 They have gorgeous beauty drops (their new Maqui Berry Beauty drops are on my must try list), a renewing beauty steam, beauty bars, and oh so much more. Based on their products alone there'd be reason enough to love them. Plus. you know that I'm always a fan of brands that have the opportunity to get samples before buying the full size. 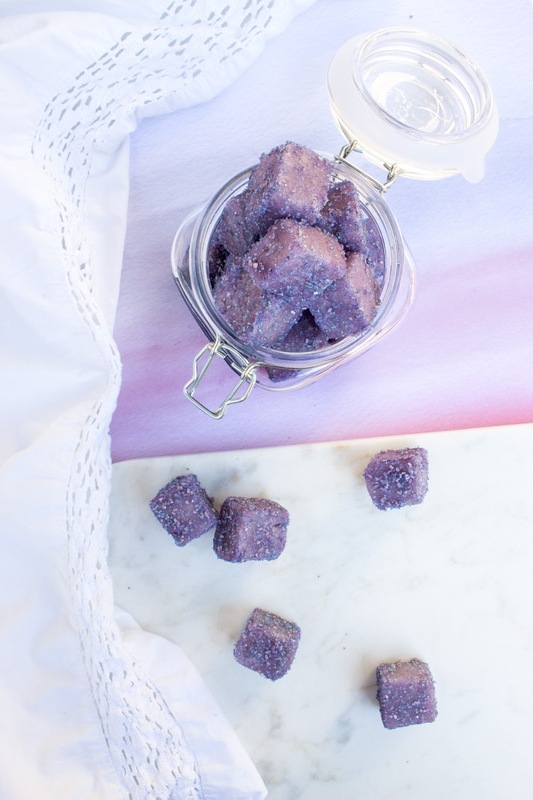 Their blog is awesome (check out the DIY nourishing sugar scrub cubes see below) and their imagery is dreamy to boot. But honestly. the reason that I really, really love Skin Owl? They are rad dudettes who are trying to make the world a better place by starting right in their own communities. 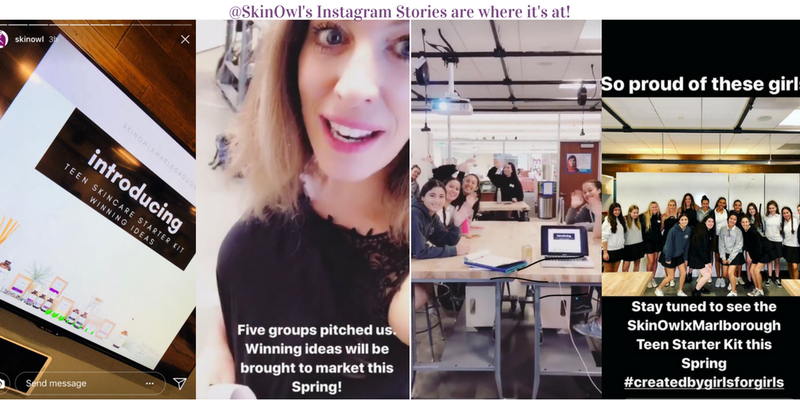 So one day I am sitting on my phone perusing all of the instagram stories and happen upon the Skin Owl team throwing an event for teenage girls. From what I could gather from that particular event, they were looking to educate these girls on skin health, the products they're using and help them influence their peers to make the same good decisions. I messaged Annie and was like #OMGILOVETHIS. I wish there had been this type of learning experience and community when I was a teenager but while I was listening to Backstreet Boys and wearing cargo pants, I was also putting crap on my skin. (I obviously still listen to the Backstreet Boys but am much more aware of quality skincare). I wanted to learn more so I asked Annie to give me some details on what the Skin Owl team had in the works and what they were hoping to achieve. 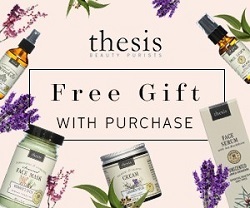 I always like to help spread the good word about good work and that's certainly what Annie and the team at Skin Owl are doing. Empowering young women to focus on goals, create new ideas and encouraging them along the way is something that is so admirable. I'd really just say that you should following Skin Owl on Instagram and check their stories periodically. A picture, or a video, paints a thousand words and I don't feel like I'm doing them justice. I can't wait to see what they have in store in the future because you know that I'll be stalking following them on social to see what's up and what starter kit launches next year! 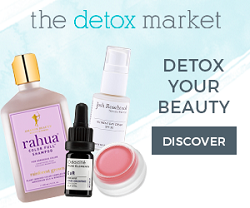 You can follow Skin Owl on Facebook, Twitter, Instagram and Pinterest!